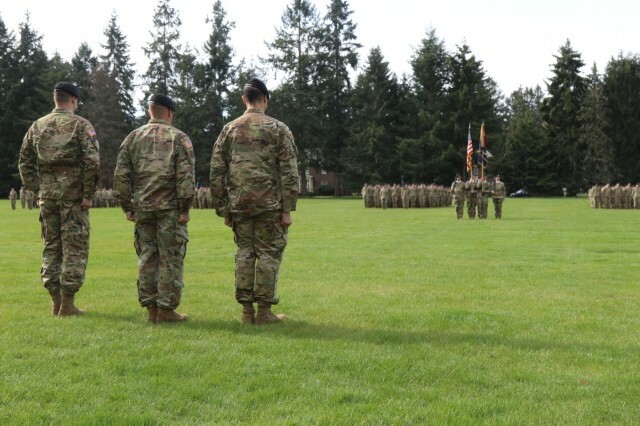 JOINT BASE LEWIS-MCCHORD, Washington - Soldiers, and family members from 2nd Stryker Brigade Combat Team, 2nd Infantry Division held a change of command ceremony for 2nd Battalion, 1st Infantry Regiment bidding farewell to Lt. Col. Charles Ford and welcoming Lt. Col. Blake Witherell to JBLM, April 2. "There are not many Lancers here today who remember events as clearly as we do," said Col. Jay Miseli, commander, 2-2 SBCT. 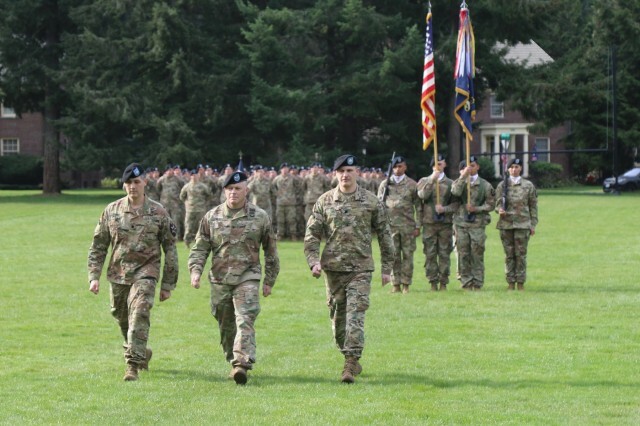 "Legion was trained and prepared for the rigors of ground combat, and masterfully." "During Ford's command tenure, Legion demonstrated the battalion's lethality, discipline and toughness," said Miseli. "The expertise and unyielding standards Charles brought to Legion made this battalion remarkably effective in an incredibly short order," said Miseli. 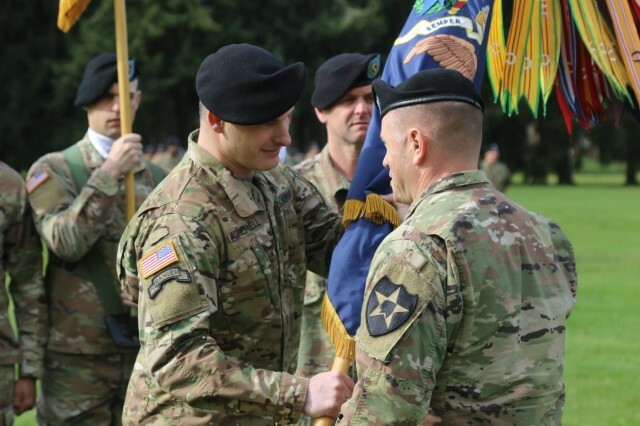 "He clearly recognized his critical role ensuring Legion was ready when called." Miseli then welcomed Witherell and his family to the Lancer team. "We are excited to have Witherell in Task Force Lancer and to watch the accomplishments, growth, and continued development of the legion under your leadership," said Miseli. "Ford built an exceptional team and now Witherell gets put his organization to the test over the coming months." Ford entrusted Witherell to continue to build upon the accomplishments and readiness of the Legion Battalion. "It was an honor and privilege to serve with every one of you," said Ford. "I am confident Legion will be in great hands and continue to fight and win." 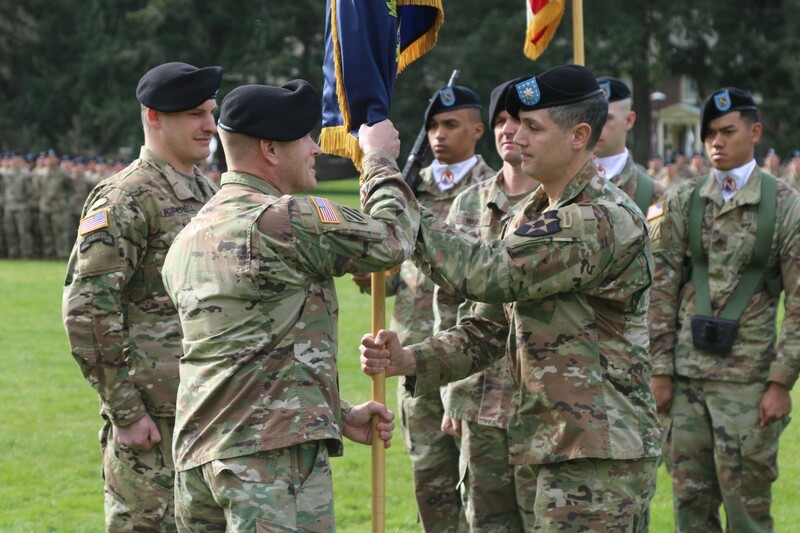 The ceremony concluded with Witherell sharing his enthusiasm and commitment to individual readiness while serving as the commander. 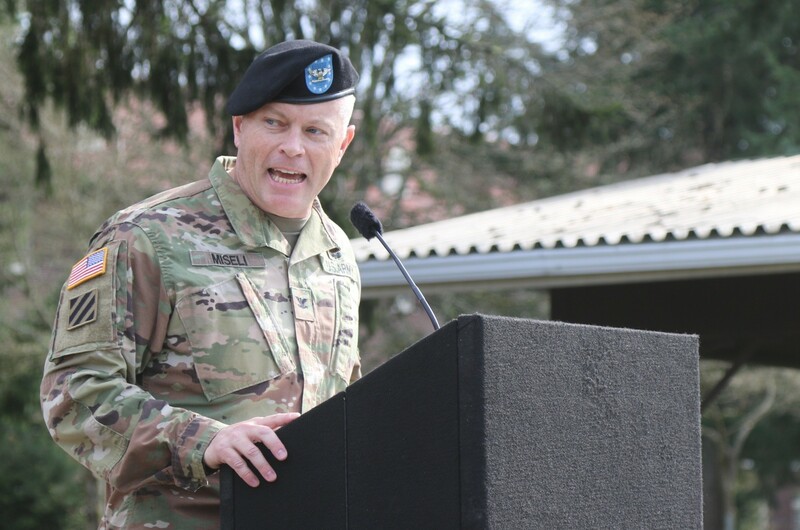 "I will always ensure the decisions I make contribute to our readiness and enhance the team," said Witherell. "I will always listen to what each of you has to say as incredible individuals of selfless service. I know this is a great fighting force. I know I have to show why I deserve to be a part of the Legion team."